Find your local farmers market! 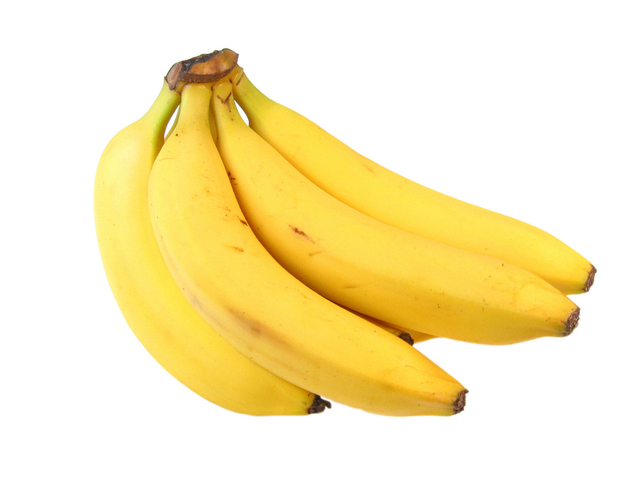 Banana is a delicious fruit that makes any snack more palatable for kids (and adults)! Because of its awesomely mushy texture, banana is a fabulous replacement for eggs in recipes, making it the AIP person’s best friend for baking. In fact, I’ve included many AIP­ and kid-friendly recipes that feature bananas (see Chocolate Banana Bread (Egg-Free), and Monkey’s Lunch Eskimo Pies, to start!) on my site to date. We might associate bananas with South and Central American culture and cuisine, but did you know that they originated in Southeast Asia? Like you probably expect, bananas are a close cousin to the plantain. Now, you can find bananas in any country with a tropical climate! Like most fruits and vegetables, bananas are an awesome source of nutrition. Bananas are known to be a good source of fuel for athletes because of their high carbohydrate and electrolyte (mineral) content, supporting energy and preventing muscle cramping and soreness. You may have heard them mentioned as a great source of potassium. And that’s true, bananas do contain potassium, but only 8% of our RDV, so it’s not the best source of everything we have access to. They also have an appreciable amount of manganese and magnesium (another mineral that helps prevent muscle cramping!). They also contain vitamins C and B6 as well as trace amounts of vitamins B1, B2, B3, B5, folate, and choline! It is important to keep in mind, however, that a large banana might have over 30g of carbohydrates, which can be a pretty high amount for some people, especially those with blood sugar regulation issues or gut dysbiosis. Bananas are available at any grocery store!